This package provides all of the basics you'll need for an on-the-go, run-and-gun style shooting project. The Sony FS7 is a flexible 4K system that can capture on-board UHD at 60 FPS and HD up to 180 FPS. 4K can be captured when footage is sent out over SDI or HDMI. The dual XQD slots and included memory cards will keep you rolling with a choice of XAVC or MPEG-2 codecs. The included batteries last approximately 1 hour each or just shooting continuous with the AC adapter. The Sony FE PZ 28-135mm lens sports precision optical design for HD and 4K with minimal breathing while focusing. There are independent control rings for zoom, focus, and aperture and the rings are engineered to provide the right amount of torque for comfortable, responsive operation. The Super Sonic Wave Motor ensures fast, silent performance. The included microphone is a popular choice among film and ENG/EFP professionals and maximizes pickup at the front, which is good for interviews. It comes with the shockmount, windscreen, and right-angle XLR cable. 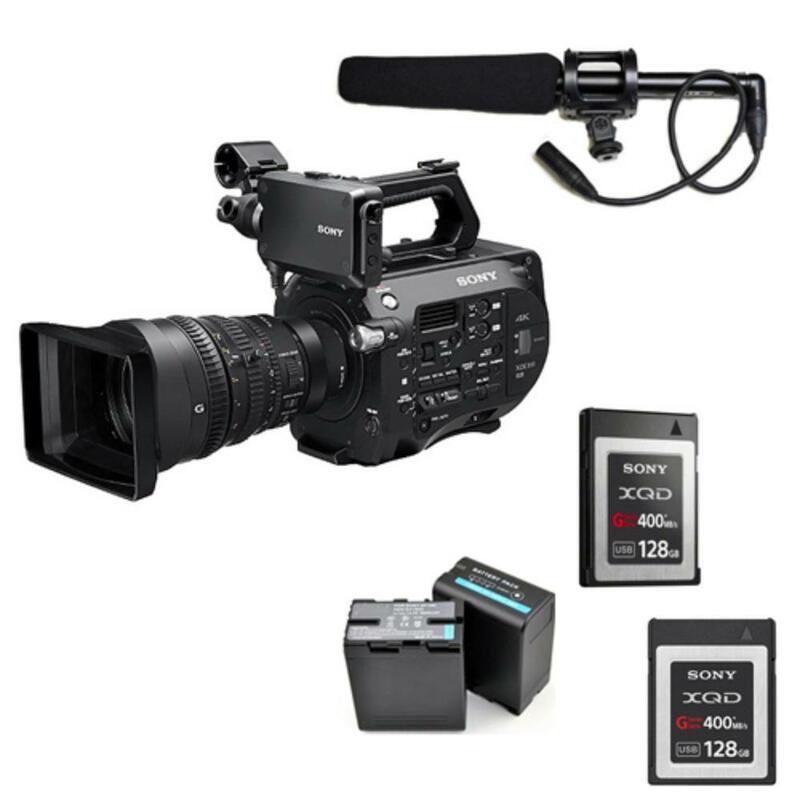 This package is ideal for journalism work, large events, documentary filmmaking, and everyday video shooting. Great for documentary shooting, run-and-gun style filming, narrative filmmaking, journalism, and events.. When packages include a camera body, they always also include a charger. When packages include extra batteries, there will not be extra chargers. Packages with flashes do not include AA/AAA batteries. Plan accordingly. We cannot make substitutions on packages.